Yep your right, they were in an old version directory, thanks! Yep, you are right. I got similar results in 2.63. I upgraded to 2.64a and same thing. Then UV is used, and not Normal. That sure makes it easier to understand, and more robust! :) Nice find! I was testing the plugin with the last DAZ studio 4.5 and I am getting the wrong UVs using Genesis. Working fine,... But still White iris and pupil. What am I doing Wrong? Going to try after dinner :) Also, sometimes when using hair i got glowing ones since the texture was a emitting map. Do not know in new versions. i tested the basic Genesis, and for the transparency of the cornea, they set Opacity to 0%, but that's ignored during the export//import phases, so you can fix this by applying an all-black image to the opacity channel of the cornea and they will be transparent in Blender too. Sorry I am not an expert of Cycles, how can I add the black image as a opacity map? EDIT: Made from DAZ and everything worked. can now be used to (re) launch the render process of that one frame. i mean the results were so scary one could lose his or her 3d permit! 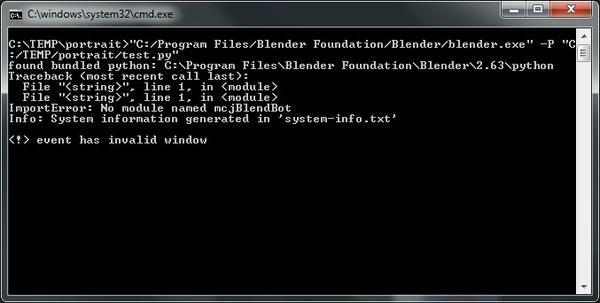 I made a 1-click Python script for Poser based on your framework. Still missing the Camera and Lights of course, but it makes it easier. I say "made", but its more of a hack. I am working on the camera part now. I've got the camera parameters from Poser for the Current camera, now I just need to translate them to Blender, so I can put the camera part into the python for your framework. Workin' on it now. If you want to export an object from Blender in Poser scale you have to scale it down to 0,41 times (rounded) its Blender size. In reverse that means to if you export an obj from Poser into Blender, you'll have to scale it up to 2,439 times it's original size. For example, this way Vicky4 will be 1,73 Blender units (equivalent of 173 cm) tall, which seems about right. So after you import your scene as an OBJ, make sure it's selected and type S (for "scale") and 2,439 for the ratio. 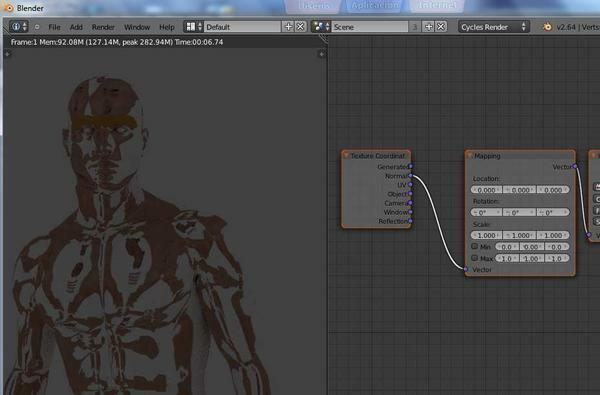 In DS there are presets for OBJ export scaling. So if you export on the Blender preset, and the Poser preset (or export from Poser), you need to scale the Poser export around 4.878, to get a similar OBJ size as the DS to Blender preset. ...but in Blender, if you consider every Unit to be 1M, then this makes V4 around 11.5ft tall. I reckon the scale of the DS to Blender preset is just off. You might as well use the 3DSMax presets when exporting to Blender, I guess. In Blender, if you switch the the units from "None" (the Blender default) to metrics or imperial you get 1 unit = 100cm or 1 unit = 3.281ft respectively. Nah, it was right. I keep thinking the Unit in Blender is 1M cause it starts with a 1M cube, but if you look at the units scale, there is 2 units for each side of the cube (i.e. 50cm), so the 4.878 (or 4.8768) was/is correct. I wonder where I got the 1.73 units though... that's not right at all. I probably must have mistyped the scale factor in Blender because otherwise the calculations make sense. this resulted in a scene with no textures. The default cube is 2 meters across, not 1m. So, no, 4.878 is not correct. If you switch to metric system in Blender (under Units in the Scene tab), you will clearly see that 1 unit equals 1 meter when using 1.0 scale. and she is now less tall than the 2meters cube, which makes sense !